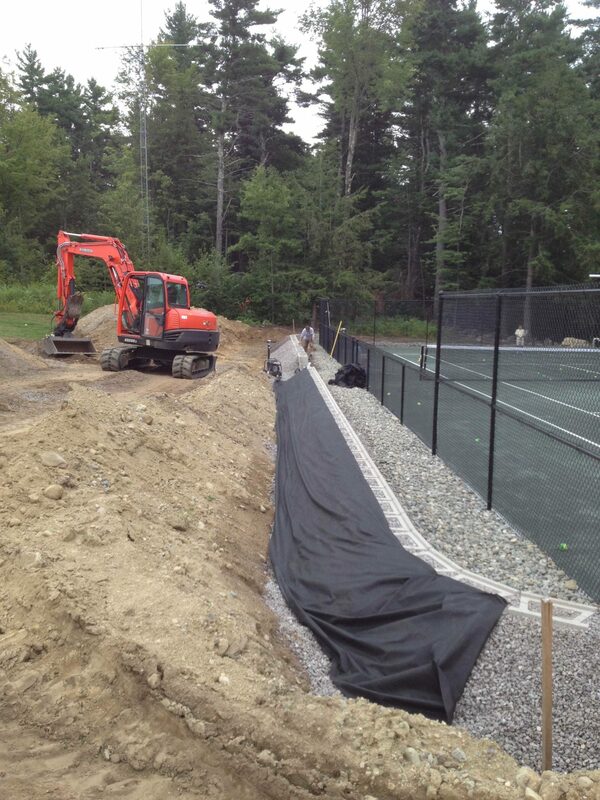 Challenge: Client’s brand new clay tennis court was being slowly eroded due to no drainage and site prep/excavation contractor not properly preparing the site. This court was built on the side of a very steep hill with no access on the down side of the court. 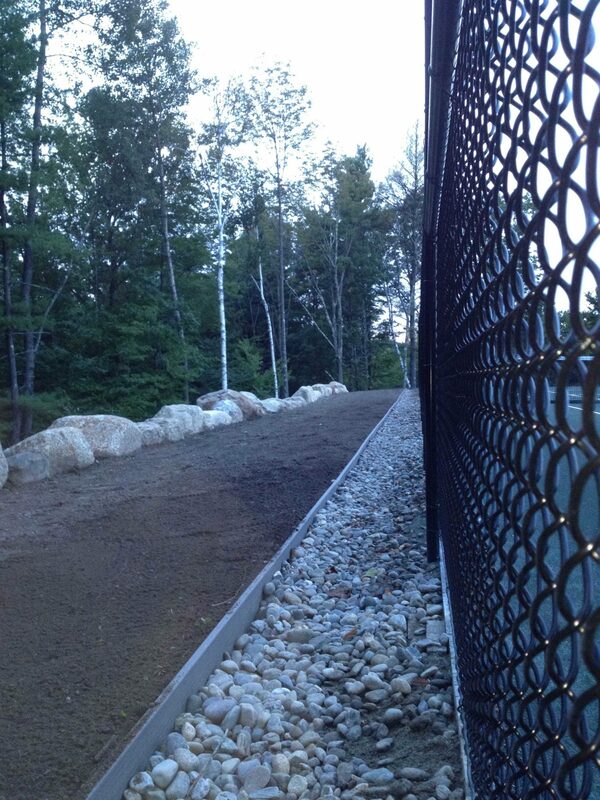 Solution: To address the water flowing from the high side of the court, Spatial built a retaining wall using materials that matched existing terraced walls on the property. 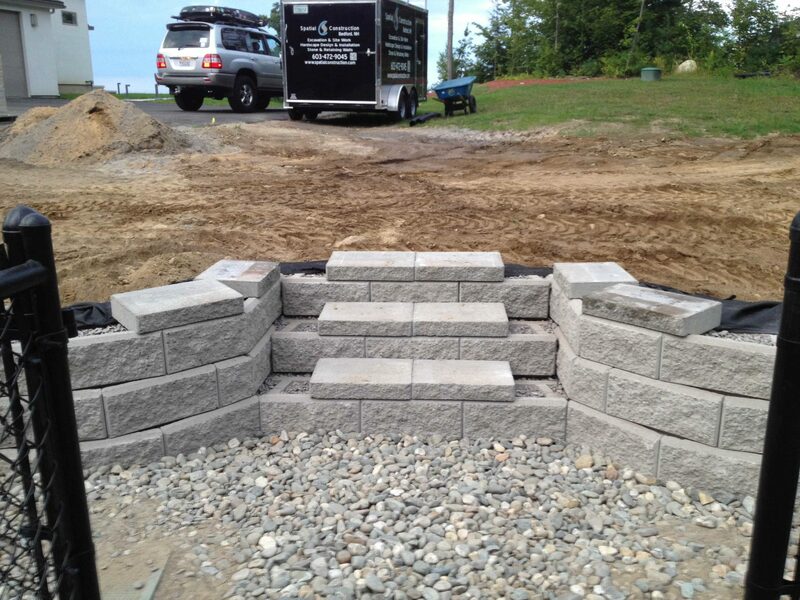 This new wall included proper drainage to divert all water before entering the high side of the court. The down side of the court, or back side of the court was in a much worse prediciment. This side of the court was facing down the hill with a grade approximately 30 degrees, and no level ground on the back side of the court before this slope started. Because the rain water on the court surface was eroding the back side of the court, a road had to be built to save the backside of the court from eventually washing down the side of the hill. 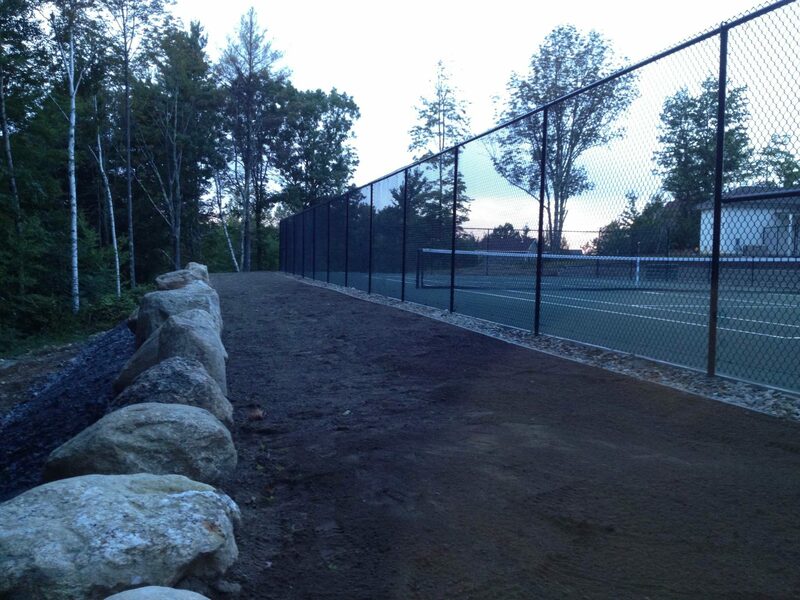 In addition to loam and irrigation, Spatial added a natural boulder wall to accent the back side of the court.